From wind tunnels to fintech to hot rocks, a look at Energy Excelerator’s 2016 cohort. Energy Excelerator launched in January 2013 with a mission to help startups solve the world’s energy challenges. That mission is now well underway with a third cohort of companies working its way through the Hawaii-based incubator’s program. 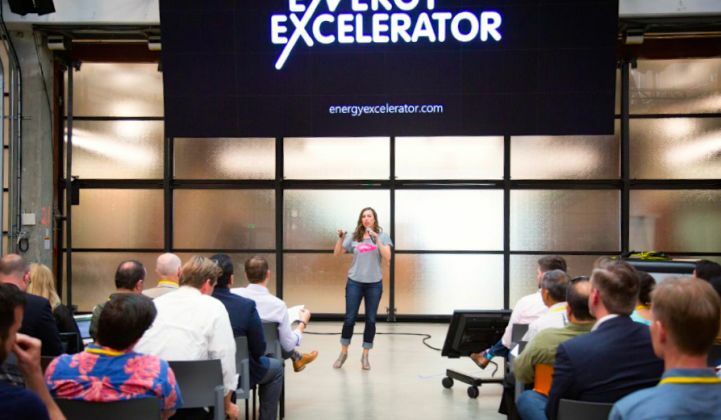 Over the past three years, Energy Excelerator, or EEx, has mobilized $15 million in funding to support 42 different companies that have gone on to raise another $227 million in follow-on funding. Over the next 18 months, these companies plan to raise more than $240 million in new investment. There are 13 companies in the 2016 group of EEx awardees, which is the first to include companies working on the issues of water and cybersecurity. Five members of this year’s cohort are in the “go-to-market track,” where they receive up to $75,000 to validate their business model and find customers. Eight companies are in the “demonstration track,” where they receive up to $1 million to deploy projects in Hawaii or the Asia-Pacific region. In exchange for this support, companies must donate 1 percent to 6 percent of their equity to the incubator. We take a look below at six of this year's companies -- Pono Home, WaterSmart, T-REX, SheerWind, Edisun and Carbon Lighthouse. Hawaii is an attractive location to deploy clean technology, primarily because the state depends heavily on imported fossil fuels to meet its energy needs. Electricity costs in Hawaii are three times higher than the U.S. average, which makes renewable energy more cost-competitive with conventional energy resources. Hawaii also passed a mandate last year to generate 100 percent of the state’s electricity from renewable energy resources by 2045, which will build upon the record levels of clean energy adoption already seen to date in the state. “The goal is not to have that vision stop at Hawaii’s shores,” she added. This year, EEx is also expanding its financing role with the launch of a $3 million equity fund that will support five new and emerging companies: Stem, PlotWatt, TerViva, Ibis and Edisun. According to Lippert, this proof-of-concept fund is the next evolution of EEx’s vision to create an entire commercialization platform for companies at every stage. Last month, all 42 of EEx’s portfolio companies presented to investors at X -- Google’s mysterious research and development facility leading the company’s “moonshot” initiatives, such as the self-driving car. GTM profiled five of EEx’s 2015 portfolio companies last fall. Here are six promising startups in the 2016 cohort. 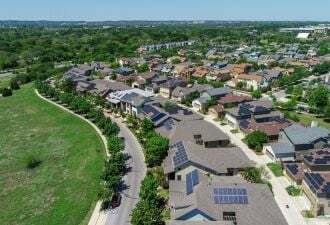 Energy efficiency, though often labeled “low-hanging fruit,” is not being adopted by homes and businesses at the rate needed to have a major impact on greenhouse emissions, according to Scott Cooney, CEO of the Hawaii-based startup Pono Home. Pono Home offers “sustainability as a service” -- a comprehensive energy and sustainability audit combined with the deployment of efficiency improvements, all in one visit. Because Pono Home doesn’t roll out a second truck, it can keep costs low and payback times short. For residences the average payback period is less than a year, and for businesses the average payback period is three to six months. To date, Pono Home has served 1,000 residences in Hawaii. In March, Pono Home serviced 150 homes, replacing 2,000 incandescent bulbs with LEDs. That month alone will generate $400,000 savings over next 10 years in avoided energy spending. Pono Home graduated from EEx’s go-to‐market track in 2014, where the company conducted a customer-discovery pilot project with Forest City’s privatized military housing business. Pono Home is now a part of the 2016 demonstration cohort, where it will provide energy-efficient hardware in low-income housing and renter markets, and work to measure and verify results to inform future efficiency projects. Going forward, the company is looking to expand by either franchising its business model or creating a white-labeled version of Pono Home’s backend system. To support this growth, the company is looking to raise its first round of seed funding. The idea behind SheerWind originated at an international conference where CEO Daryoush Allaei, who holds a doctorate in systems and structural dynamics, gave a presentation on addressing noise pollution from giant wind turbines. 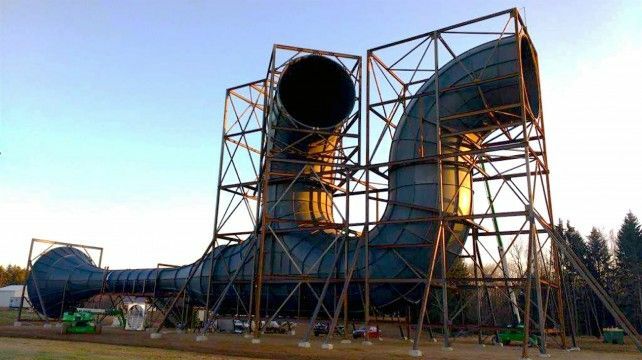 Allaei came up with a way to solve the noise issue by shrinking the wind turbines and putting them inside of a tunnel. SheerWind’s patented Invelox technology works by pulling in wind from all directions, funneling it to increase speed, squeezing it through a Venturi system to turbo-charge the wind, and then sending it through multiple turbines within the tunnel that convert the wind, now at its highest energy density, into electrical power. At the end of the tunnel, a diffuser slows the wind before returning it to the outside environment. “Invelox trades speed for size by capturing wind, increasing its speed and delivery to a turbines under much better conditions, reinventing wind power generation,” said Allaei. Invelox technology has several benefits over traditional wind turbines, in addition to reduced noise. Invelox opens doors to new markets by safely generating clean energy on the ground and in urban settings close to populations that need the power. 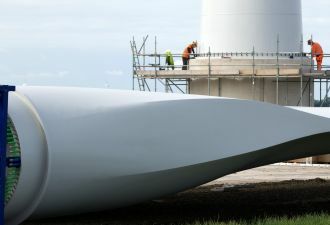 The technology also operates at modest wind speeds as low as 2 miles per hour, versus 8 miles per hour for traditional turbines, and doesn’t interfere with birds or radar. Furthermore, SheerWind claims its technology has 50 percent lower operation and maintenance costs and a 70 percent to 90 percent capacity factor, which enables utility-scale electricity generation at just 2 cents per kilowatt-hour. In addition to a novel technology, SheerWind has a novel business model. 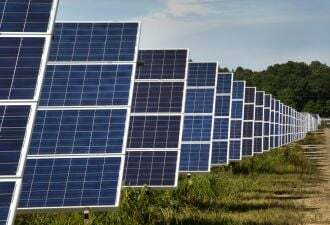 Rather than develop all projects in-house, the company has decided to license its technology to other entities and earn revenue from royalties paid based on each installed unit and annual energy production. SheerWind has already sold operating licenses in Denmark, New Zealand, the Middle East, China and the Netherlands -- and plans to have licenses in five more areas by the end of the year. This approach is intended to bring affordable, clean electricity to people faster than a single company could on its own. SheerWind has deployed a total of 15 projects around the world, both directly and through partners. Last year, the company built a project on the Nature Conservancy’s Palmyra Atoll, which serves as a remote island bird sanctuary, and is currently completing a 200-kilowatt system at an Army National Guard in Michigan. Through EEx’s go-to-market track, SheerWind is refining its business model and creating new partnerships. On the island of Maui, 32 percent of energy goes into powering the water cycle. That’s a huge expense for water utilities with Hawaiian electricity prices around 30 cents per kilowatt-hour. And this isn’t just an issue for Hawaii, 19 percent of California’s electricity is used in the heating, extraction, transportation and treatment of water. WaterSmart helps utilities by taking a little bit of the data that they are already collecting, and combining it with a lot of data that WaterSmart collects -- on things like climate, weather, demographics and property information -- in order to improve water-use efficiency. The company crunches all of the numbers at about a billion data points per hour to spot patterns and trends, and provides high-quality analytics back to utilities to help them lower operating expenses. In addition, WaterSmart has created a customer engagement platform that can send out personalized communications to customers, encouraging them to adopt patterns of behavior that are better for their pocketbooks and less of a strain on the environment. With WaterSmart’s solutions, utilities see water-use efficiency improve by an average of 5 percent in the first 12 months. At the same time, utilities can see significant savings. According to Gilthorpe, $1 million invested in digital services can have the same impact as $1 billion invested in physical technologies. Last year, WaterSmart raised $7 million as California continued to struggle with drought. WaterSmart is currently working with 50 utilities in 10 states, which will soon become 11 states through project deployments with water utilities in Honolulu and the County of Hawaii through the EEx program. The goal at fintech startup T-REX is to make renewable energy finance more transparent and efficient to grow renewable energy into a mature, investable asset class. “Renewables development has ramped up in a really big way, but the cost of capital is still...incredibly onerous, preventing hundreds of billions of dollars from entering the space, and this is all because of inadequate financial structure,” said CEO Benjamin Cohen. Through its secure enterprise SaaS platform, T-REX provides renewable energy firms with the valuation and risk analysis tools needed to unlock investment opportunities. Today, most financial analysis is done in an Xcel spreadsheet with thousands of columns and dozens of tabs. 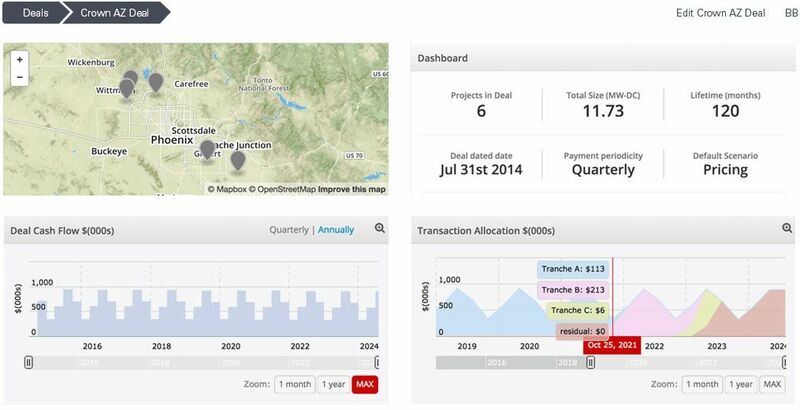 The T-REX solution streamlines the system, giving project owners, rating agencies and investors more actionable data. There are $20 billion in assets and 50 end users currently on the T-REX platform. Through the EEx demonstration track, T-REX will deploy its technology on a portfolio of renewable energy assets in Hawaii or the Asia-Pacific region. The company is also raising an $8 million series B round to support rapid uptake in the energy-efficiency loan space. There is nothing Bill Gross is more excited about than rocks. Hot rocks, to be more specific. The well-known entrepreneur and founder of the California incubator Idealab recently took the helm of Edisun Heliostats, because he believes the company’s rock bed storage technology could revolutionize the energy landscape. “If we could store the energy from the sun or the wind until we needed the power, we could completely change the future of renewables, and that’s what we’re working on solving,” Gross said. Edisun is currently building out commercial, micro-scale concentrated solar power (CSP) technology with integrated energy storage, collectively referred to as combined solar and storage (CSS). The technology works by using an array of mirrors to heat a tank of locally sourced rocks to 500 degrees Celsius and then using the rocks for energy storage. The company claims this technology is less complicated than molten salt storage and 50 times cheaper than conventional batteries at $10 per kilowatt-hour, while still being able to provide electricity around the clock. Plus, unlike advanced batteries, no exotic materials or special handling are necessary. In addition to providing energy storage, the CSS system can convert the sun’s energy into heat, and then channel that heat through a heat exchanger to provide electricity immediately. Because of the small unit size (all project components fit into a 40-foot-long shipping container) CSS technology has the potential to be less expensive and utilize less land area than other types of solar projects. 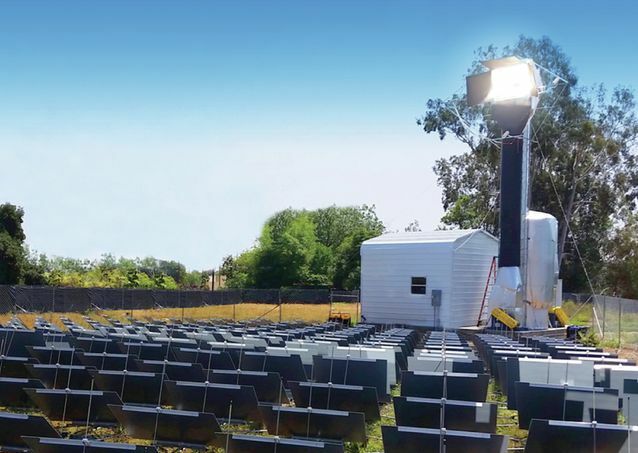 Edisun built a 25-kilowatt-hour demonstration project in Pasadena, California capable of storing energy for 5 hours. Next, with the help of EEx, the company will build a 100-kilowatt-hour installation that can store energy for 8 to 12 hours at an industrial complex on Hawaii’s Big Island. The multi-acre system will be integrated with other renewable generation to power the facility’s water pumps, greatly reducing the cost of purchasing retail electricity. Bill Gates, Steve Case, Steven Dietz and NRG Energy are early investors in Edisun. Company executives are currently looking for additional investors to help scale the technology worldwide. Since Carbon Lighthouse's founding in 2010, it has deployed its technology in 450 buildings across the U.S. and has eliminated emissions equivalent to three power plants. CEO Brenden Millstein said he and his team are “aggressively for-profit” and have been profitable for five of the past six years. At the same time, they’re laser-focused on their mission. “Stopping climate change drives every single thing we do,” Millstein said. So what does Carbon Lighthouse do? “We deploy a network of sensors inside buildings to build a one-of-a-kind data set for every building we work in, [something] that no one else has,” Millstein explained to investors last month. “We run it through our machine-learning platform, and use the data to install controls and actually take control of the way backend systems work. So it’s not a recommendation engine; we’re actually using machine learning to deliver 30 percent whole-building energy savings in buildings." Carbon Lighthouse's technology allows building managers to view and optimize existing equipment, without the need for expensive equipment upgrades. In addition, the company has a financial system that allows it to address the incentive split between landlords and tenants, granting the company access to buildings with any type of lease. The business model is based on a one-time cost to acquire customers and equipment. The company then derives revenue by sharing a portion of a customer’s energy savings. Carbon Lighthouse claims its proprietary software and processes deliver energy efficiency that is 10 times more cost-effective than traditional methods. Through EEx’s demonstration track, Carbon Lighthouse will implement its solution with three different building owners in Hawaii. EEx opened applications for the 2017 cohort of companies on April 25. Applications will be accepted through July 1.